Today, we are blessed with not one, but many Torah-based magazines. 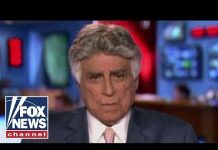 The Jewish reader who wants to sit down and relax must no longer submit him or herself to secular trash, nor must he or she bring into their homes writers who have lifestyles and opinions that are diametrically opposed to everything we stand for. However, the acceptance of this powerful medium into our homes comes with its own challenges. Many great admorim in Eastern Europe were in opposition to even orthodox newspapers and publications. With great foresight, they predicted that these publications would become oracles for a large percentage of the masses. Especially busy housewives and soccer moms, who don’t have time in their frantic schedules to hear the rabbi’s drasha or to get out for shiurim, rely on these publications for the furtherance of their spiritual education. While many times these magazines do provide for a furtherance of spiritual education, especially when they report on the lives and the ways of tzaddikim or when they carry the advice or exhortations written by well-known rabbonim, roshei yeshiva, or skilled Torah professionals, a very real danger starts when the magazines give platforms to gifted writers with charismatic skills who do not have the credentials to espouse opinions and influence thousands of impressionable readers. For, make no mistake, we are known as the Am HaSefer, the People of the Book and we tend to take as gospel what we read. To paraphrase what it says in Pirkei Avos, ‘Chachomim hoozharu b’divreichem – O sages be very careful with your words,’ I would say publishers: Hoozharu b’divreichem, be careful what you print for the consequences can be disastrous. Let me give you an example. In general I must confess I do not have time to read these fine publications but I religiously buy them because my Rebbetzin and my daughters greatly enjoy them. 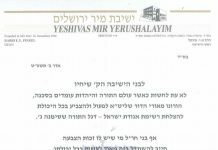 I was shocked to see a letter that was given prominent exposure entitled, “A Yeshiva Bocher’s View of Chosson Cigarettes.” The writer goes on to defend what he calls a custom that has been around for a long time, giving ridiculous reasons for the doling out of the cancer-stick in order to ward off ayin hara, and to share joy. He then, (with his many years of experience! ), assures the reader that he does not know anyone who became a regular smoker from a ‘chosson cigarette,’ nor (with his great knowledge!) [He didn’t sign his name so I can wax facetious] would a chosson ever give a cigarette to a non-smoker. How can a magazine print such garbage? I’m sure the magazine will counter that they’re doing a community service by bringing the issue to light, especially when, in a later issue, they printed a letter from a concerned mother who countered that her own husband and her two brothers admitted that their first-ever cigarettes were from chossonim. (So much for the scholarly opinion of our yeshiva bocher.) But, what of the person who read the first letter but not the second? Editors and publishers walk a tightrope. They need to keep their readers interested and publish what’s on people’s minds in order to sell magazines. But, we cannot give a platform to people who should not be explaining customs and espousing opinions. It is for this reason that Jewish seforim have haskomos, approbations, so that even the educated reader should know whether he can rely on what it is that is about to influence him. And, although many a scholarly author bristles at the thought of printing a haskomah, for it goes against his or her feeling of humility, it is a necessity to preclude the allowance of the unwarranted printed word that can cause dangerous repercussions to very many people. I’ll tell you a scary story about chosson cigarettes. A kallah that I know called up the shadchan in a panic. What happened? She was driving with her chosson and he had to make a stop. As he ran out to the store, she slipped into the driver’s seat as it was a questionable parking space. As she looked around, to her shock she found two packs of cigarettes in the slot in the driver’s side door. She broke into a cold sweat for her chosson assured her that he never smoked cigarettes. She called the shadchan and asked, ‘What do I do? If he’s lying to me then I don’t know if I can go into a marriage where there is such a breach of trust.’ The shadchan called me, as a Rav, and after investigation I learned that indeed the boy never smoked. Rather he had the two packs because he felt compelled to keep the minhag of giving out chosson cigarettes. Look at the danger lurking behind the continuum of such a minhag shtuss (an imbecilic custom). The publisher might contend, ‘Rabbi Weiss, you could write this in a letter to the editor. We would gladly print it.’ In response, I would say that first of all, rabbonim don’t have time to put out all of these fires. Secondly, it just gives notoriety to even recognize it as another opinion. These ideas should not be allowed to be seen in the first place – just like there is a fine line between a gifted speaker and who we should listen to. Anyone who has seen clips of Hitler speaking, yemach shemo v’zichro, knows that he was not only captivating, he was hypnotic. But, of course that doesn’t mean we should listen to him. The same is true that one can be a gifted and captivating writer but it doesn’t mean that they should be given magazine space to in influence the masses. I’m not against letters to the editor. A personal vignette, a powerful anecdote in support of Torah concepts, a clear lesson in Torah life can be shared by the many G-d fearing lay people that make up our wonderful nation. But, the publishers should surely know better than to print a bocher’s defense of a dubious and dangerous custom. To give the matter its fair treatment, next week I will cite an example of responsible journalism and be quick to admit that these very publishers accomplish much good in their work as well. In the meantime, may we all stay safe, not smoke and be blessed with long life, good health, and everything wonderful. Sheldon Zeitlin takes dictation of, and edits, Rabbi Weiss’ articles. Rabbi Weiss is currently stepping up his speaking engagements to have him in your community call now 718.916.3100 or email RMMWSI@aol.com. To receive a weekly cassette tape or CD directly from Rabbi Weiss, please send a check to Rabbi Moshe Meir Weiss, P.O. Box 140726, Staten Island, NY 10314 or contact him at RMMWSI@aol.com. Now back in print is a large size paperback edition of Power Bentching, also available a brand new Cd Album on Purim containing 6 Cd’s from Rav Weiss’s great speeches on Purim. To order call him at 718-916-3100 or email at above. Attend Rabbi Weiss’s weekly shiur at the Landau Shul, Avenue L and East 9th in Flatbush, Tuesday nights at 9:30 p.m. Rabbi Weiss’s Daf Yomi and Mishnah Yomis shiurim can be heard LIVE on Kol Haloshon at (718) 906-6400. Write to KolHaloshon@gmail.com for details. They can now also be seen on TorahAnyTime.com. 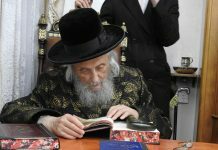 dear #2 -you wouldn’t be so flippant about cigarettes if your own father was killed by them and if you’d seen countless leg amputations,heart attacks,strokes as well as cancer from these evil things-its time to take the poskim including HaRav Reuven Feinstein seriously and ban cigarette use from the observant olam!! sadly the story about chosson cigs is far from the only problem with these magazines. There is so much wrong with them that we no longer allow them in our home and I know that we’re far from alone on that. Many of our friends have cut out purchasing the weekly mags – some entirely and others – to a great extent. These mags are not innocent reporters – they have agendas and promote those agendas and they don’t all reflect our belief systems and hashkofos. the damage that these magazines can do (and does) to us and especially to our children and perhaps avoid them from invading in our homes.